Kyle Bursaw – kbursaw@shawmedia.com Micki Chulick, executive director of 4-C, Pam Wicking (right) and other 4-C staffers discuss feedback they've gotten on their informational brochures on Friday, June 15, 2012. Chulick will be retiring on June 30 at the end of 4-C's fiscal year. 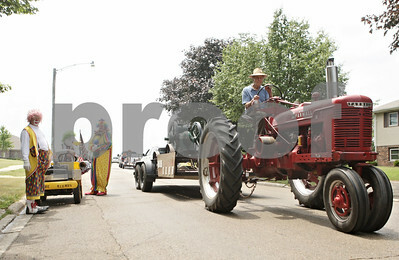 Rob Winner – rwinner@shawmedia.com Dean Warrington of Hampshire drives his tractor north along South Hadsall Street before the Genoa Days parade Saturday afternoon. Kyle Bursaw – kbursaw@shawmedia.com Micki Chulick, longtime executive director of 4-C, seen here in her office, is retiring. 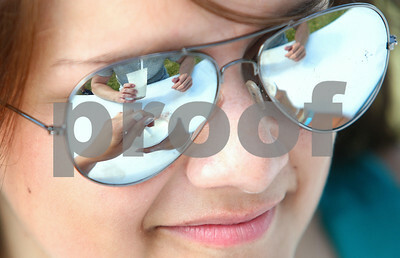 Taken Friday, June 15, 2012. 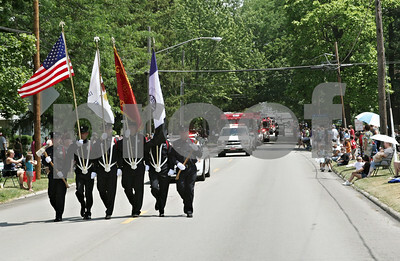 Rob Winner – rwinner@shawmedia.com The color guard make their way west along Main Street during the Genoa Days parade Saturday afternoon. 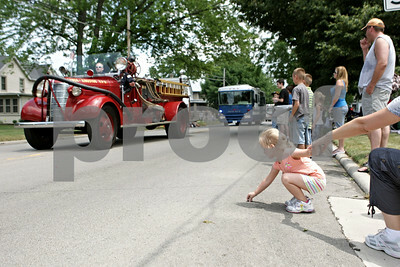 Rob Winner – rwinner@shawmedia.com Clover Norris, 4 of Genoa, reaches for a piece of candy on Main Street during the Genoa Days parade Saturday afternoon. 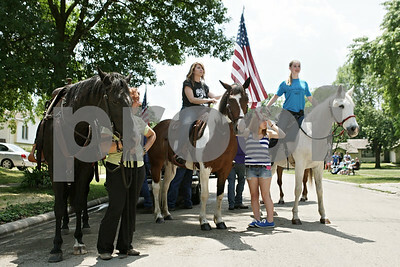 Rob Winner – rwinner@shawmedia.com Horseback riders take their place in line along South Hadsall Street before the Genoa Days parade Saturday afternoon. 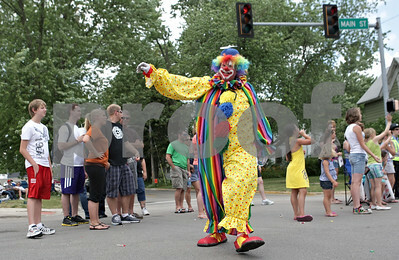 Rob Winner – rwinner@shawmedia.com A Shriners clown waves to the crowd while participating in the Genoa Days parade Saturday afternoon. 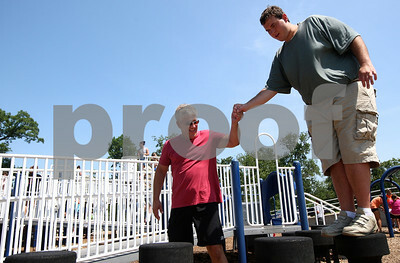 Kyle Bursaw – kbursaw@shawmedia.com Mike Franckowiak, a group leader and counselor with Camp Maple Leaf, gives Larry Cox a helping hand as he navigates an obstacle on the Hopkins Park playground on Monday, June 18, 2012. Kyle Bursaw – kbursaw@shawmedia.com J.T. 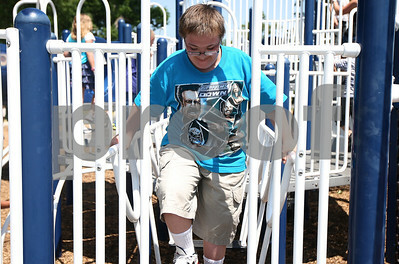 Baine, 13, roams the Hopkins Park playground under the supervision of the Camp Maple Leaf counselors on Monday, June 18, 2012. 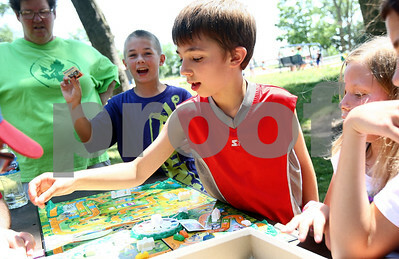 Kyle Bursaw – kbursaw@shawmedia.com While playing The Game of Life at Hopkins Park, Anthony Grych (center), 9, draws cards for his occupation and salary and Bradford Edwards (left) celebrates getting police officer as an occupation on Monday, June 18, 2012. Kyle Bursaw – kbursaw@shawmedia.com Mike Franckowiak, group leader and counselor at Camp Maple Leaf, welcomes James Crown to his team with a high five before they played softball at Hopkins Park on Monday, June 18, 2012. 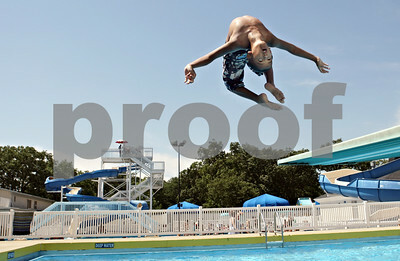 Rob Winner – rwinner@shawmedia.com Jadyn Thompson, 10 of DeKalb, performs a backflip off a diving board while spending the afternoon at the Hopkins Park pool on Friday afternoon. 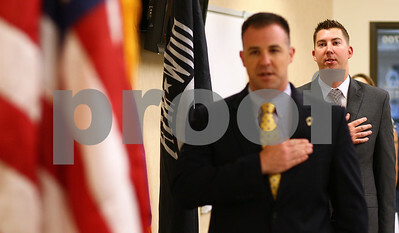 Kyle Bursaw – kbursaw@shawmedia.com Simon Wlodarski (front), chief of staff for the Illinois Department of Veterans' Affairs, and Steven Kreitzer recite the Pledge of Allegiance at the very beginning of a press conference where DeKalb resident Kreitzer was presented with the Veteran of the Month Award from the IDVA on Monday, June 18, 2012. Rob Winner – rwinner@shawmedia.com DeKalb resident Manuel Mekjian cools off within the wading area of the Hopkins Park pool in DeKalb Friday, June 15. Kyle Bursaw – kbursaw@shawmedia.com Mike Roth, 24, from Naperville, spoons some melting ice cream into his mouth while hanging out with Kelsey LeFevre, 20, from Polo, at Ollie's Frozen Custard on Tuesday, June 19, 2012. Kyle Bursaw – kbursaw@shawmedia.com Kelsey LeFevre, 20, from Polo, looks down at her quickly-melting ice cream as she and Mike Roth, 24, from Naperville, eat at Ollie's Frozen Custard on Tuesday, June 19, 2012. 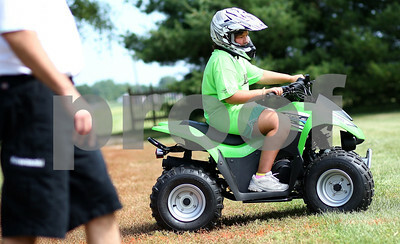 Kyle Bursaw – kbursaw@shawmedia.com Karyn Baldwin, 12, rides a small ATV under the supervision of Bob Schenck (left) of OpenAir Powersports, who was there teaching ATV safety at the DeKalb County Farm Bureau's Farm Safety Camp at Jonamac Orchard in Malta, Ill. on Wednesday, June 20, 2012. Kyle Bursaw – kbursaw@shawmedia.com Sgt. 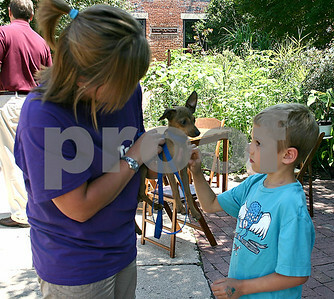 Ryan Pettengell of the DeKalb County Sheriff's Department helps Zander Cash, 7, from Sycamore, adjust a helmet during a station talking about bicycle safety at the DeKalb County Farm Bureau's Farm Safety Camp at Jonamac Orchard in Malta, Ill. on Wednesday, June 20, 2012. Kyle Bursaw – kbursaw@shawmedia.com Sgt. 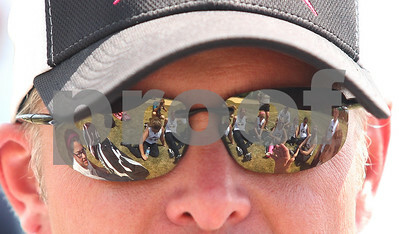 Brad Carls of the DeKalb County Sheriff's Department demonstrates bicycle turn signals for a group of children at the DeKalb County Farm Bureau's Farm Safety Camp at Jonamac Orchard in Malta, Ill. on Wednesday, June 20, 2012. 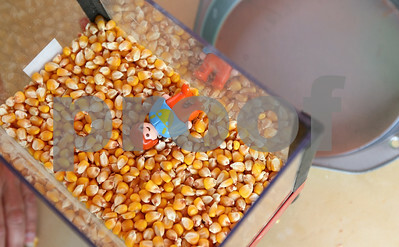 Kyle Bursaw – kbursaw@shawmedia.com A small model demonstrates the dangers of falling into a grain bin at the DeKalb County Farm Bureau's Farm Safety Camp at Jonamac Orchard in Malta, Ill. on Wednesday, June 20, 2012. Kyle Bursaw – kbursaw@shawmedia.com Markus Duckworth, an outfielder for the DeKalb County Liners, removes the hinges of a door to get it out of the way for retiling a bathroom floor at Feed'em Soup in DeKalb, Ill. on Thursday, June 21, 2012 as part of the Kishwaukee United Way's annual Day of Caring. Kyle Bursaw – kbursaw@shawmedia.com Ann Elliot, of Castle Bank, chats with Heritage Woods resident Nancee Jones while washing Jones' window in DeKalb, Ill. on Thursday, June 21, 2012 as part of the Kishwaukee United Way's annual Day of Caring. Kyle Bursaw – kbursaw@shawmedia.com Kim Goike, of Alloyd, does some weeding in front of Heritage Woods in DeKalb, Ill. on Thursday, June 21, 2012 as part of the Kishwaukee United Way's annual Day of Caring. Kyle Bursaw – kbursaw@shawmedia.com Jared Tomany and Joey Burney, both players for the DeKalb County Liners, check out some of the designs while helping sort donated clothes by size, type and gender at Feed'em Soup in DeKalb, Ill. on Thursday, June 21, 2012 as part of Kishwaukee United Way's annual Day of Caring. Kyle Bursaw – kbursaw@shawmedia.com Jeff Rhoades presses a panel of Lehan Drugs' new history wall into the special tape behind it to secure it in place on Wednesday, June 13, 2012. Rhoades works for Kelmscott communications and the wall was designed by OC Imageworks. 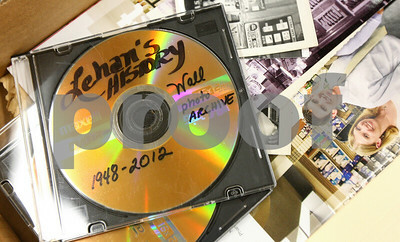 Kyle Bursaw – kbursaw@shawmedia.com A dvd with photos of Lehan Drugs over the years sits in a box with some loose photos near the store's new history wall as it was being installed on Wednesday, June 13, 2012. Rob Winner – rwinner@shawmedia.com Amina Gray (left), 7, and Lexi Carlson, 7, celebrate their team's victory after a sponge relay contest during Olympic Day at the Kishwaukee Family YMCA Friday afternoon. 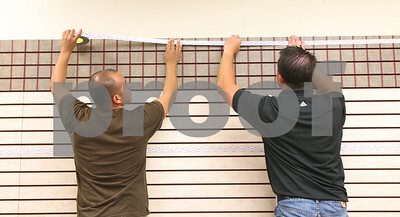 Kyle Bursaw – kbursaw@shawmedia.com Noe Rosas (left) and Jeff Rhoades put up a high-bonding type of tape on the wall at Lehan Drugs' to eventually put up the company's new history wall on Wednesday, June 13, 2012. 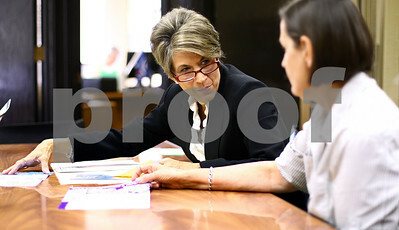 Rhoades works for Kelmscott communications and Rosas was assisting him on the project. 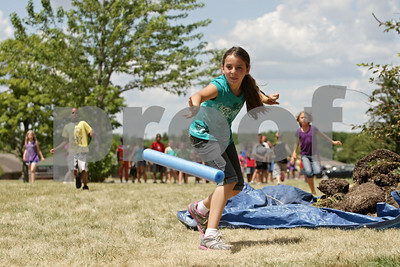 Rob Winner – rwinner@shawmedia.com Nadia Timm, 10, tosses a pool noodle while participating in a javelin toss contest during Olympic Day at the Kishwaukee Family YMCA Friday afternoon. 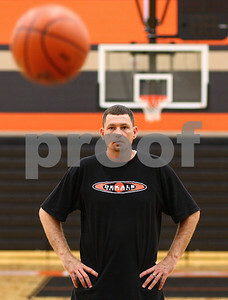 Kyle Bursaw – kbursaw@shawmedia.com Chris Davenport oversees a drill while coaching a youth basketball camp held at DeKalb High school on Friday, June 15, 2012. pending approval at a June 19 meeting, he will be the new girls basketball coach at DHS. 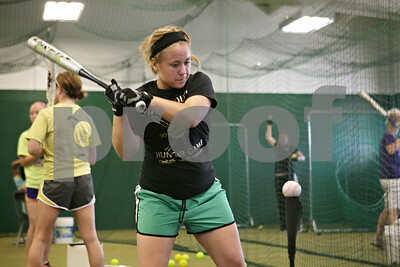 Rob Winner – rwinner@shawmedia.com Tristyn Criswell of the Kishwaukee Valley Storm 16U team works on her swing while using a tee during practice Tuesday evening at their indoor facility in DeKalb. 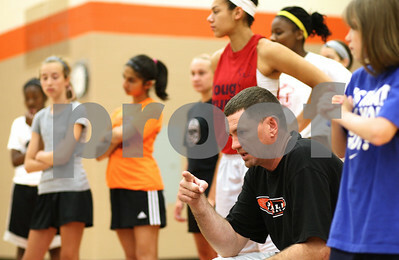 Kyle Bursaw – kbursaw@shawmedia.com Chris Davenport, with some help from some members of the DeKalb varsity girls basketball team, coaches a youth basketball camp held at DeKalb High school on Friday, June 15, 2012. pending approval at a June 19 meeting, he will be the new girls basketball coach at DHS. 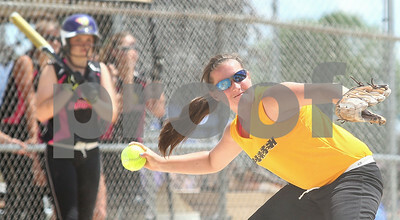 Rob Winner – rwinner@shawmedia.com Baylie Petit practices her swing during a Kishwaukee Valley Storm 16U team practice Tuesday evening in DeKalb. 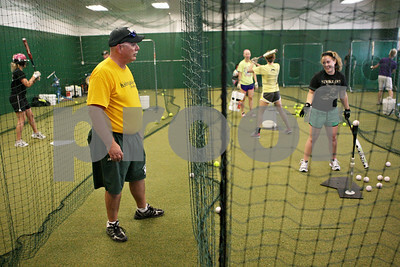 Rob Winner – rwinner@shawmedia.com Kishwaukee Valley Storm 16U coach Bill Becker instructs Baylie Petit (right) during a team practice Tuesday evening at their indoor facility in DeKalb. Kyle Bursaw – kbursaw@shawmedia.com Sycamore Flash 14U player Morgan Brons makes a throw to first base during the game against the Roselle Rampage on Friday, June 22, 2012. 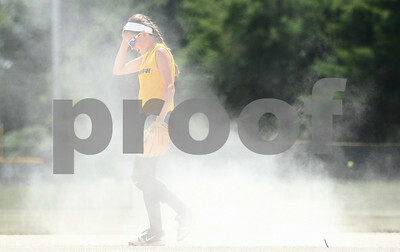 Kyle Bursaw – kbursaw@shawmedia.com Sycamore Flash 14U player Bailey Fank walks back to position after a Roselle Rampage player slid into second base, a cloud of dust kicked up follows her on Friday, June 22, 2012. 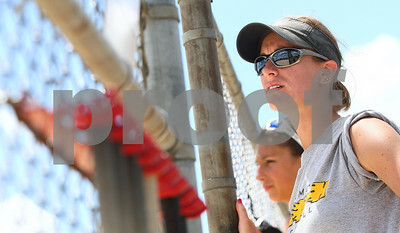 Kyle Bursaw – kbursaw@shawmedia.com Sycamore Flash 14U assistant coach Cris Zakosek looks on at her team as they play against the Roselle Rampage Friday, June 22, 2012. 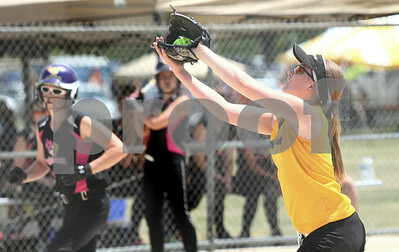 Kyle Bursaw – kbursaw@shawmedia.com Sycamore Flash 14U pitcher Natilee Morey snags a ball for the final out of the inning in front of the mound during their game against the Roselle Rampage on Friday, June 22, 2012. 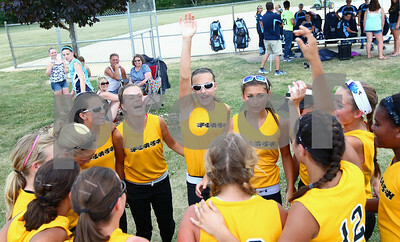 Kyle Bursaw – kbursaw@shawmedia.com Sycamore Flash 14U players get pumped up before their game against the Roselle Rampage on Friday, June 22, 2012. 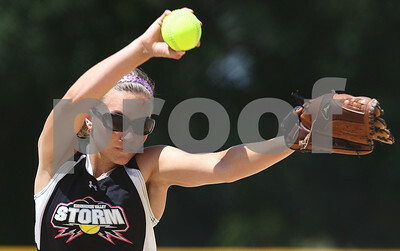 Kyle Bursaw – kbursaw@shawmedia.com Kishwaukee Valley Storm 18U pitcher Laura Turnroth delivers on Friday, June 22, 2012. Kyle Bursaw – kbursaw@shawmedia.com Kishwaukee Valley Storm 12U coach Jim Mizgalski talks to his team following their 8-3 victory over the Belvidere Blasters on Friday, June 22, 2012. Kyle Bursaw – kbursaw@shawmedia.com Kishwaukee Valley Storm 18U player Abby Foulk grabs a drink of water away from the action during a morning game on Friday, June 22, 2012. 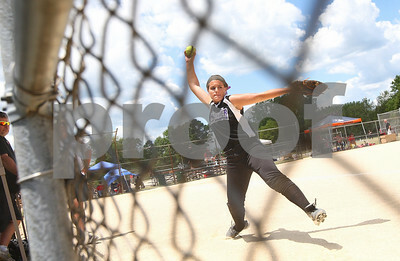 Kyle Bursaw – kbursaw@shawmedia.com Northern Illinois Thunder 14U player Anissa Becker warms up her throwing arm before a game on Friday, June 22, 2012. 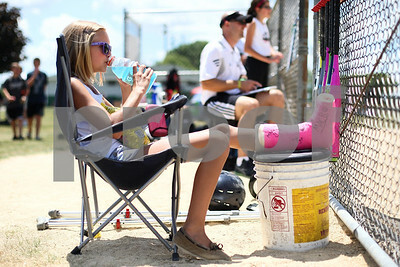 Kyle Bursaw – kbursaw@shawmedia.com Kishwaukee Valley Storm 12U player Caelin O'Higgins takes a drink while watching her teammates during one of their games on Friday, June 22, 2012. Kyle Bursaw – kbursaw@shawmedia.com Kishwaukee Valley Storm 12U players Skylar Haring (left) and Maddie Henson enjoy some icy treats as they watch the Sycamore Flash play against the Roselle Rampage on Friday, June 22, 2012. 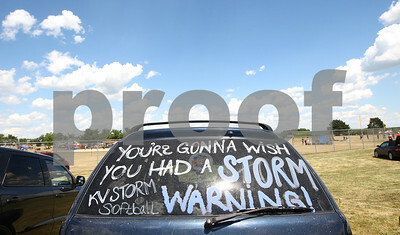 Kyle Bursaw – kbursaw@shawmedia.com A Kishwaukee Valley Storm fan's car reads "You're gonna wish you had a storm warning! in the parking area at Sycamore Park on Friday, June 22, 2012. 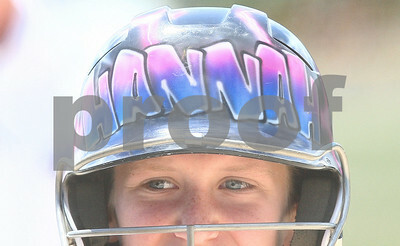 Kyle Bursaw – kbursaw@shawmedia.com Kishwaukee Valley Storm 12U player Hannah Mizgalski sports a custom design on her helmet during a game on Friday, June 22, 2012. Sgt. 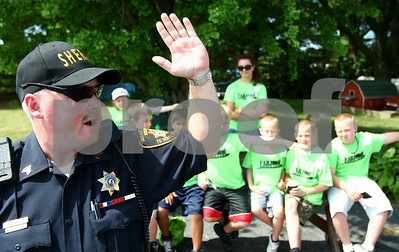 Brad Carls of the DeKalb County Sheriff's Department demonstrates bicycle turn signals for a group of children at the DeKalb County Farm Bureau's Farm Safety Camp at Jonamac Orchard in Malta, Ill. on Wednesday, June 20, 2012.